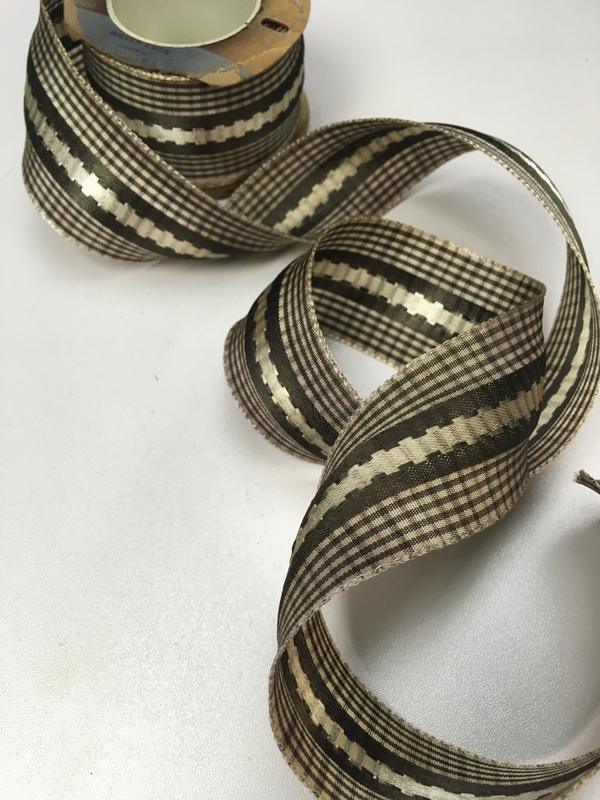 Beautiful rayon plaid ribbon from the 1930s fashioned of rayon. 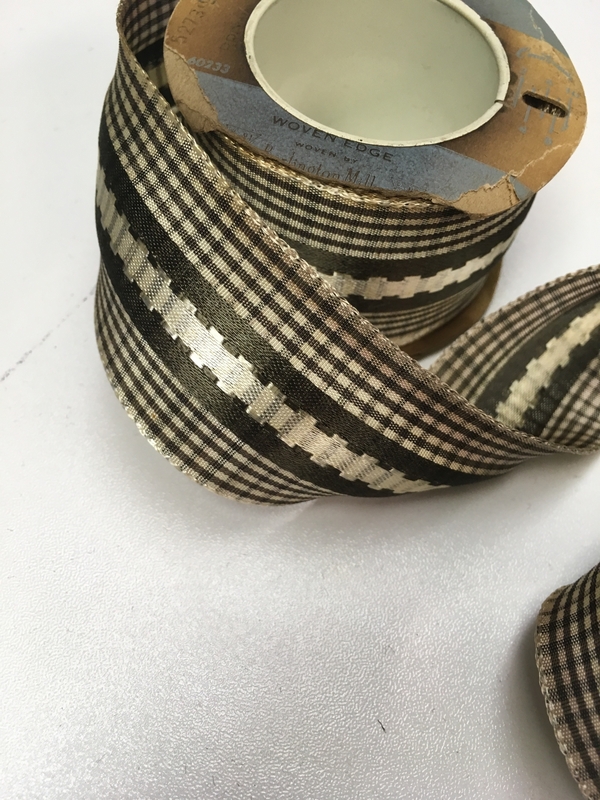 The center of the ribbon has an embroidered design. Color is brown and cream. Old store stock on the original roll. Width is 1.5 inch. Ribbon price is per yard.